When you wish to make you happy ! 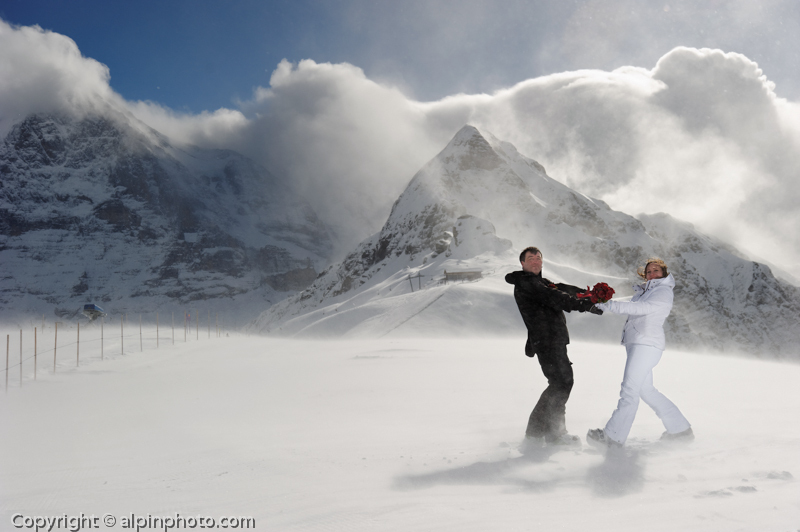 The thrill of snow dancing in the air ! Pure Adrenaline. 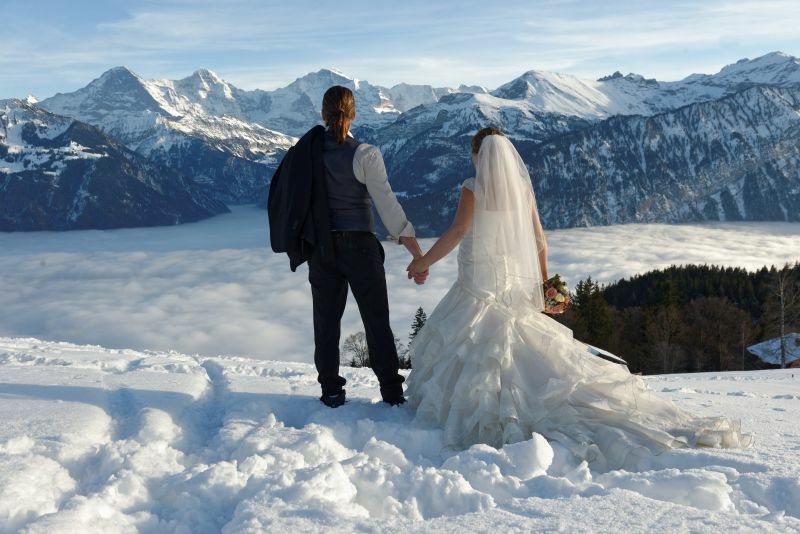 Host your civil marriage in Interlaken. Cindy and Pascal will be your witnesses if you do not have guests. We will assist with your legal documents and ensure this is a legal marriage in your home country. We work with government officials hand in hand. 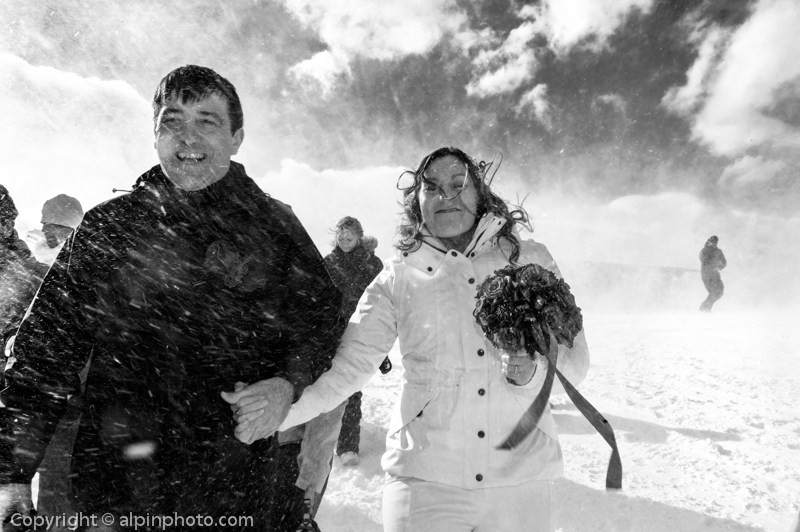 A snow storm did not stop this couples adventurous spirit ! 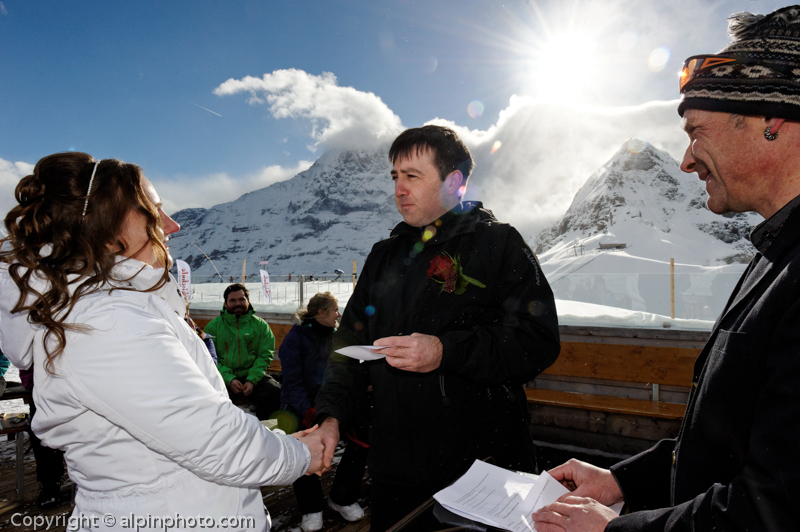 007 Ski Adventure Wedding, It`s your wedding, do something Different! 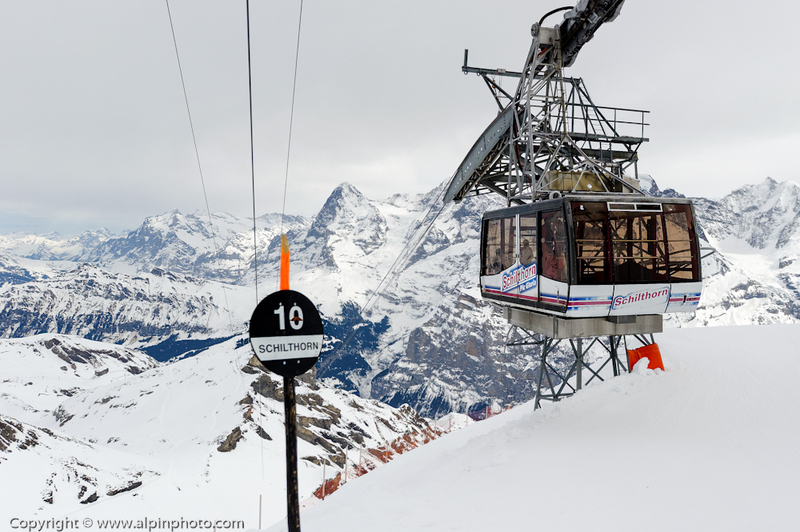 Would you like to say ” I DO” at the James bond panorama Schilthorn, then ski the black diamond in your wedding dress? 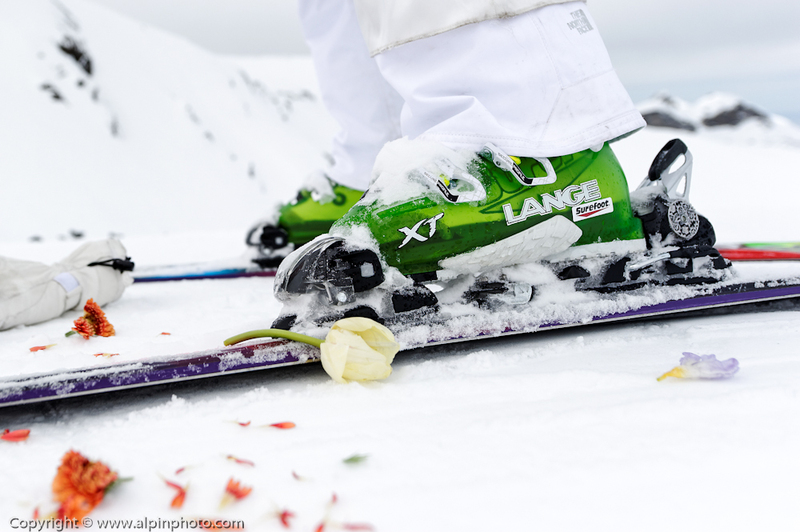 Ski wear by day, black tie affair by night. Cocktails and casino set at 3000 meters. 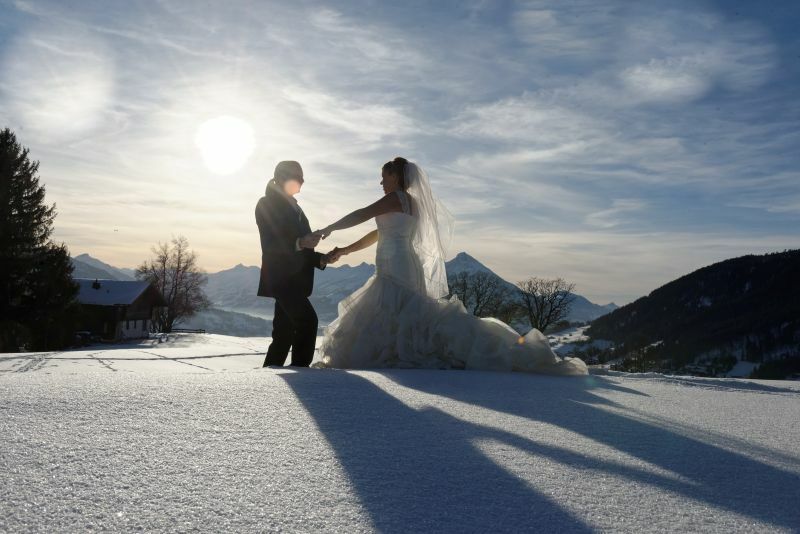 This entry was posted in Blog, Testimonial and tagged civil marriage with Switzerland Wedding company, Destination Snow wedding, legal marriage in Switzerland, Love the snow !. Bookmark the permalink.